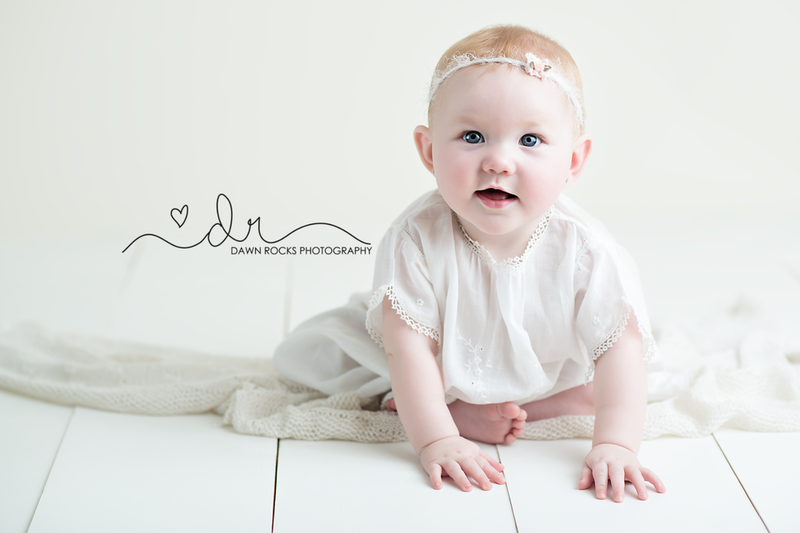 Tacoma 6 month milestone session from this summer that is just too sweet I have to share! I am catching up on blogging and starting with this doll. 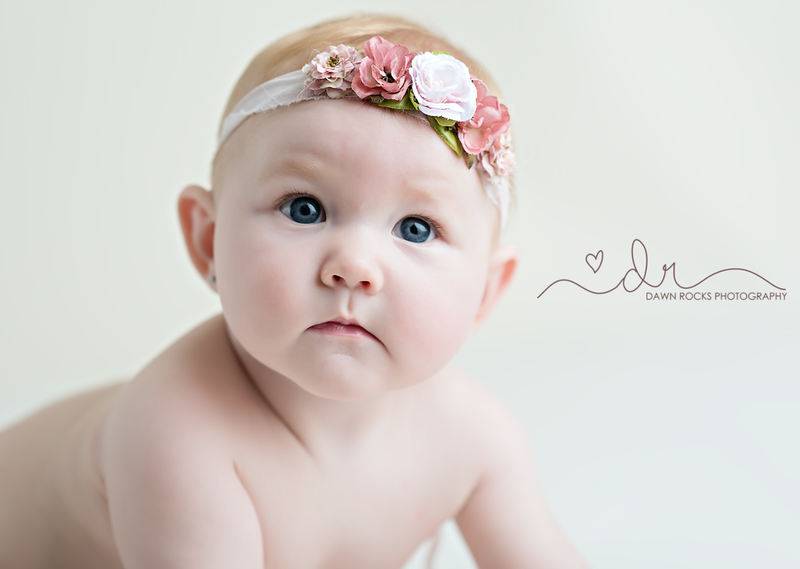 She was just such a joy to have at the Dawn Rocks Photography Studio. From her big smile, to that gorgeous red hair to those sweet blue eyes. She was such a happy and content little one. 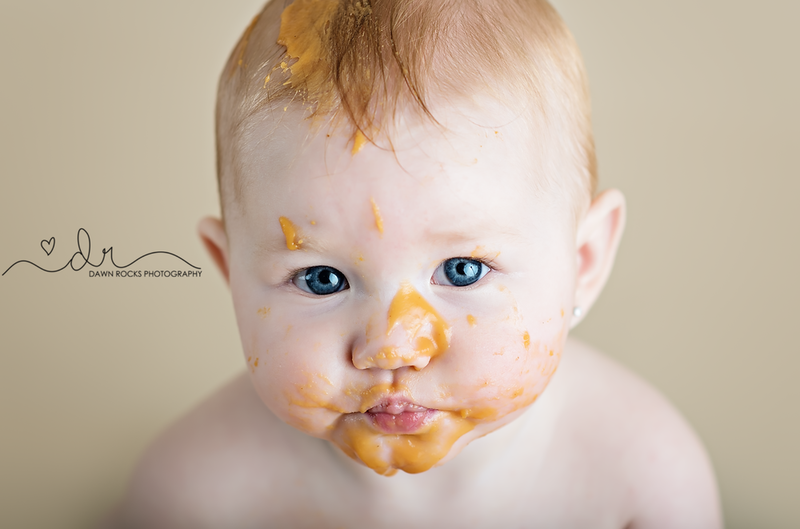 Did our first 6 month milestone food smash and she just loved it! Check out some of the session below!